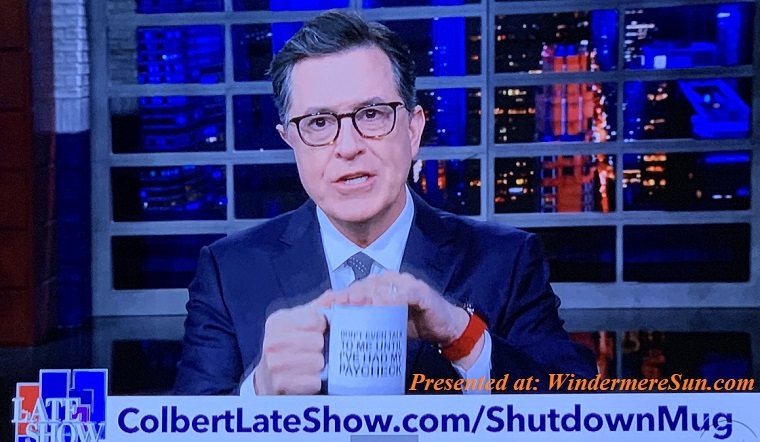 Stephen Colbert recently showed off a mug commemorating the 28th day of the partial government shutdown. 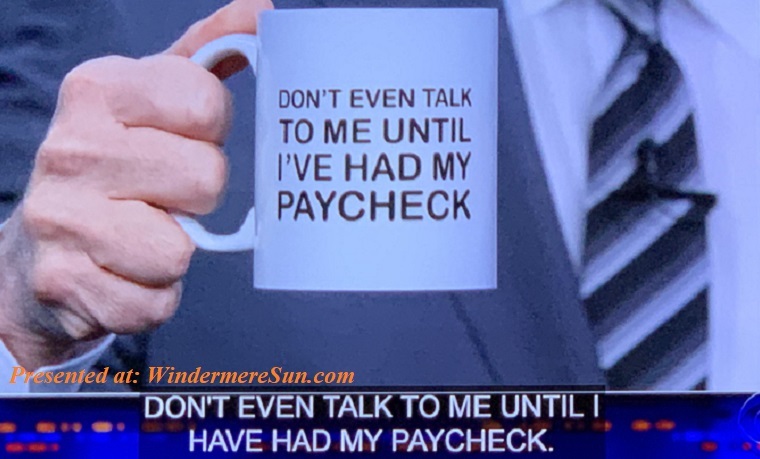 The mug said: “Don’t Even Talk to Me Until I’ve Had My Paycheck.” According to SFGate, the mug is now available for people to buy for $15 and proceeds will benefit a good cause. CBS said the profits will go to Chef José Andrés’ nonprofit organization, World Central Kitchen. This organization provides free meals to federal workers and their families during the government shutdown. Previous story Super Blood Wolf Moon Sunday Night, What Does It Mean?